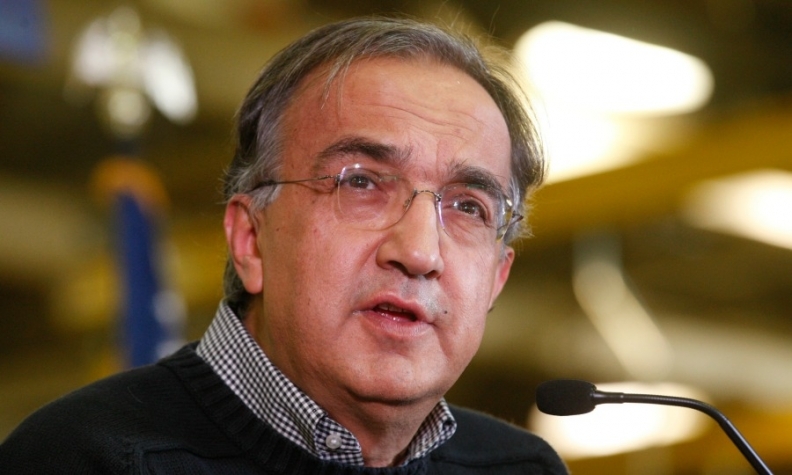 VENICE, Italy (Reuters) -- Fiat Chrysler Automobiles will meet its 2014 targets even though the Brazilian car market is set to remain difficult and Europe is showing no sign of improvement, CEO Sergio Marchionne said. "At the group level, we'll achieve them. This is not a problem," Marchionne told reporters on the sidelines of an event in Venice on Friday. Asked about a possible stabilization of the situation in Brazil, he said: "Fiat will maintain its market share in the ups and downs. We expected it to be a difficult year. We see a difficult year until the elections." "The World Cup is distracting everyone but elections are the real problem," he added. A sluggish economy, expiring tax breaks and weak exports have put the brakes on Brazil's car industry, stoking fears of layoffs during an election year. Marchionne said he saw no sign of changes in the European car market, which this year would remain "more or less in line" with 2013. "Its not a healthy growth," he said. Asked whether Fiat would be able to reduce losses in Europe despite higher investments, he said it would depend on the performance of luxury brand Maserati, given that costs in its mass-market segment had been cut to the bone. On press reports of talks with Mitsubishi for a venture in pickups, Marchionne said: "We continue to talk with everyone including Mitsubishi."